Synopsis: “Something In Between” follows Jasmine de los Santos, a Filipino immigrant who wins a National Scholarship Award, prompting her parents to reveal that her and her family are currently living in the United States illegally. This revelation causes Jasmine to reevaluate how she views herself, and to embark on a journey to try to gain legal citizenship for her and her family. I would strongly recommend this book. I loved the story line, and I was rooting for Jasmine the entire way. Whenever a plan she had fell through, I always thought that she was out of options, but she always found a way to persevere. At the beginning, her life looks perfect on the surface–she’s pretty, smart, and popular. However, once she finds out the secret about her citizenship, you see her life in a totally different light. I would recommend it to people who like a love story, but not as the main story line. While Royce ends up playing an important role in Jasmine’s life, her focus always remains on her family and figuring out how to better herself and her family’s situation. Overall, the story provides a great insight to an issue that is very prevalent in the media and politics today. Reading ‘Something In Between’ has definitely given me a different perspective that isn’t always shown to the general public through the news. I liked her writing style. It was easy to understand, and made the book a quick read. Sometimes sentences seemed really short, almost to the point of being choppy. I didn’t get that feeling for the book as a whole, just at a few parts. Although at points the texts between Jasmine and Royce were almost awkward at times, that might just be me, as I don’t spend a majority of my free time texting boys. It read a bit forced to me, but everyone has their own texting styles. For example, I don’t make a habit of excessively using emojis, but some people do. Connect with the author! 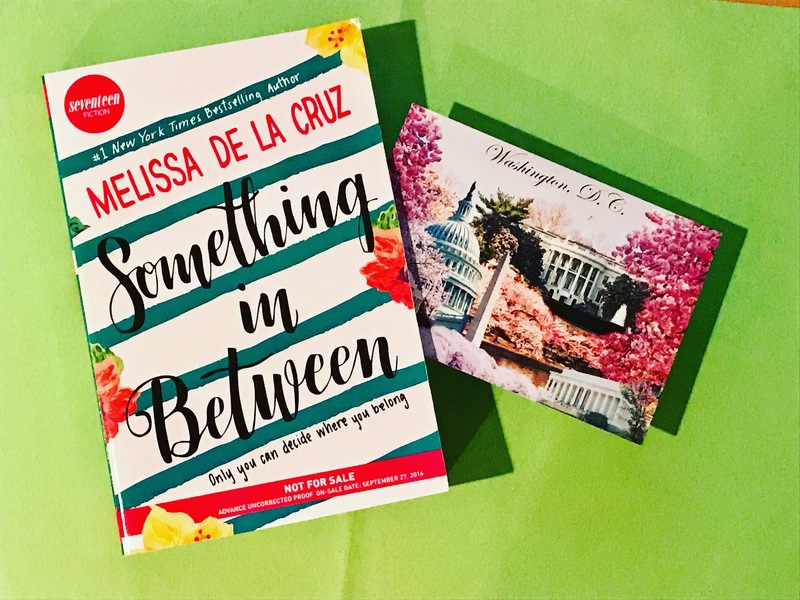 You can follow Melissa de la Cruz on Twitter at @melissadelacruz and on Instagram at @authormelissadelacruz!